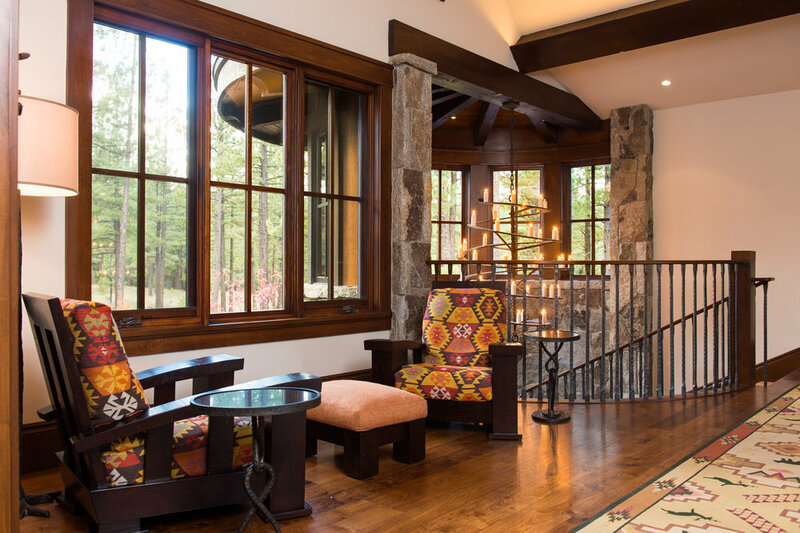 Teaming-up with MWA Architects to develop this Martis Camp home at Lake Tahoe, the family wanted a classic Mountain Lodge feeling. 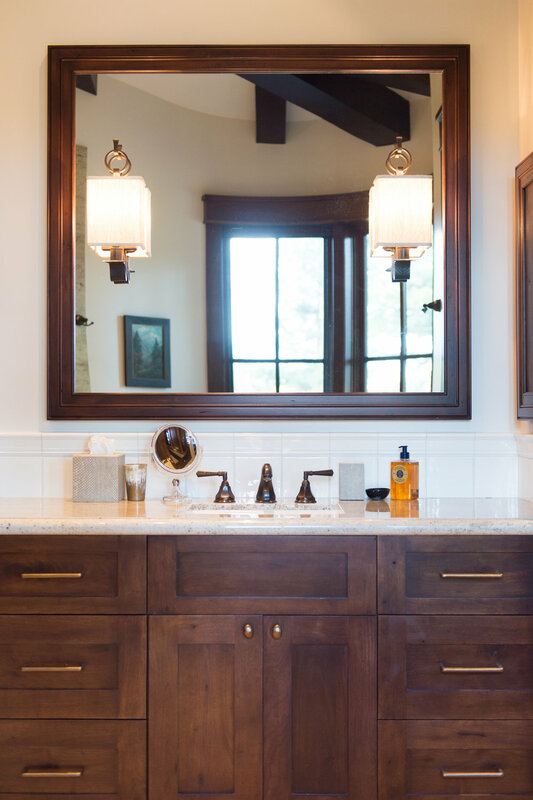 Pulling our color palette from the vivid surroundings, we used rich walnut tones throughout for floors, timbers, and millwork, paired with boldly-scaled indigenous tumbled granite. The furnishings and fixtures were purposefully over-scaled to the grand proportions of the main rooms to keep the spaces comfortable and inviting. The Entry features a spiral staircase leading to a loft gallery and guest quarters above. Opposite the Entry, the Living Room opens up to 25ft. high ceilings with full-width, curved glass, pocketing doors showcasing the native wildlife sanctuary beyond.